Within NLP are a set of assumptions which are known as presuppositions. These can be seen as useful principles. NLP calls them ‘presuppositions’ as individuals pre-suppose them to be true and act as if they are. So let us have a look at the presupposition “The map is not the territory” When you consider this to be true, it will create a different type of thinking, adding something else to your map. When you know the way you respond to certain situation is not the one you want, it is useful to understand that your map/response is not the only one available to you. You can always add to the map which means you can begin to think of a new way to behave or respond. NLP is about understanding and changing these maps, not about changing reality. The mind and body affect each other. People do the best they can with the resources available to them. A person’s behaviour is not who they are. All behaviour has a positive intention. We already have the resources we need or the ability to create them. There are no un-resourceful people only un-resourceful states of mind. The person/system with the most flexible behaviour has the highest probability of achieving the response they desire. 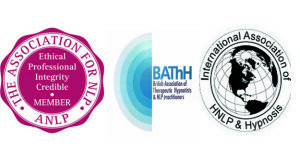 Using NLP or Hypnotherapy or N.V.T will always change your map of response. When people behave in a way we cannot comprehend, this is because their values and beliefs which create behaviour are not within our maps of beliefs. When people begin to feel helpless, hopeless and worthless they can only consider the options they have within their map of choice. You cannot direct someone from your own map to drive down a road, because on their map your road doesn’t exist. People’s positive intentions are what they think they will get from performing a particular behaviour. Most people know that if you abuse drugs, alcohol or food you will have health problems Some people, however, even when aware of all the facts are still unable to stop. This is because of what they believe they get from such actions.